Ever since actors Deepika Padukone and Ranveer Singh released their wedding photos — they tied the knot in Lake Como, Italy on November 14-15 in twin wedding ceremonies — all eyes have been on the newlyweds, their multiple hand-in-hand appearances, and of course, their coveted style choices. With their elegantly coloured-coordinated Sabyasachi ensembles, both Deepika and Ranveer provided plenty of sartorial moments to pour over. Having already cemented herself as a style icon, Deepika wore some of the most jaw-dropping, swoon-inducing bridal looks of all time; and speculation as to what she will wear for her and Ranveer’s Mumbai wedding reception has run rife, reports Hindustan Times. While details are scant, Ranveer and Deepika’s second wedding reception — they hosted their Bengaluru reception on Wednesday — is set for December 1 at The Grand Hyatt, Mumbai. At the top of everyone’s mind, of course, is what kind of a look will Deepika wear at the reception? Here’s a sample of questions running through our mind: Will it be another Sabyasachi saree? Or a bespoke lehenga? Will it resemble Anushka Sharma’s bridal style? Or will it be something entirely different? Perhaps a gown? 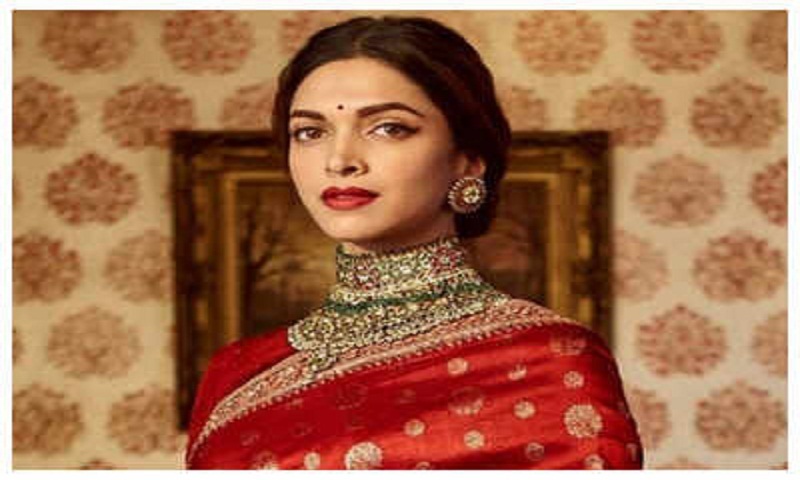 Though Deepika and fashion designer Sabyasachi Mukherjee — the man behind her impressive bridal trousseau — have both been mum on the details of Deepika’s Mumbai reception look, if you track her style, you can get a sense of what she might wear. Deepika’s not afraid to give trends a try, so, when it comes to her reception look, expect a surprise or two: Namely, a Sabyasachi wedding gown. The Kolkata-born designer is known for his embellishment-heavy bridal lehengas with architectural silhouettes and intricate embroideries. However, in June 2018, Sabyasachi revealed his first-ever international wedding collection, featuring opulent and innovative bridal gowns with stunning long trains, impressive texture plays, weightless volumes, soft colours (think white, champagne, blush, cloudy grey) and decadent fabrics. Unlike the sarees, suits and lehengas the new bride has worn thus far, we expect Deepika to up the glamour and opulence at her reception with one of Sabyasachi’s classic yet modern wedding gown. We think there will be romance in Deepika’s reception gown — whether it be a lace bodice, a fit-and-flare design highlighting her curves and waistline or a beaded dress train. The over all feel could be very different from the gold Kanjivaram silk saree at her Bengaluru wedding reception. While all these details are fun to speculate, given that the beautiful bride has not worn any western style yet, Sabyasachi could very well have saved it for Deepika- Ranveer’s final wedding extravaganza. Next: What will be served at Priyanka Chopra and Nick Jonas’ wedding?